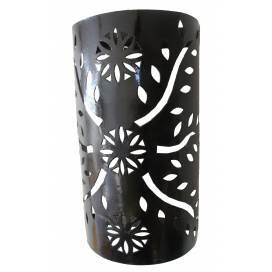 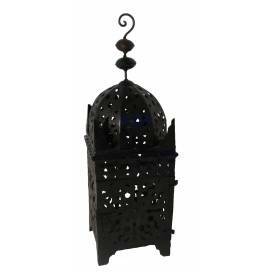 A wide range of Moroccan lighting to relook your home. 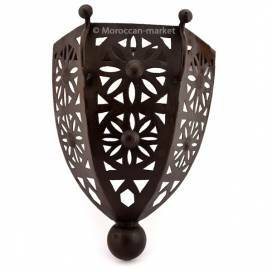 A selection of sconces, lanternes, lamps and chandeliers from moroccan handicraft. 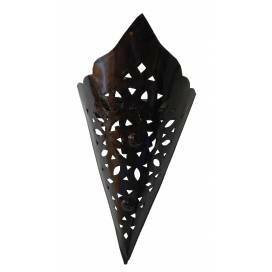 Made from iron, copper, brass and other alloys. 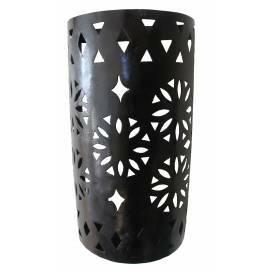 Both discrete, light and modern, they fit perfectly in all styles of interiors. 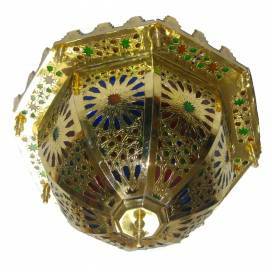 Products entirely handcrafted by craftsman of the kingdom. 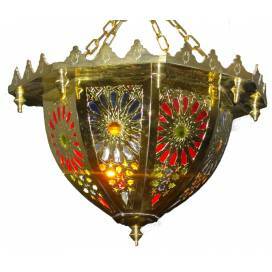 Moroccan chandelier carried out out of brass openwork and coloured pieces of glass.The work is very neat.Realized by craftsmen of the town of Fes. 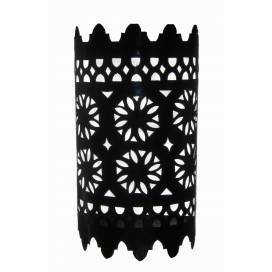 wall light out of engraved metal, of artisanal clothes industry with typically Moroccan reasons.The light which it diffuses is filtered with an effect of shades and lights. 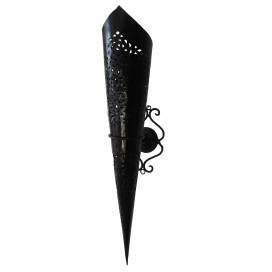 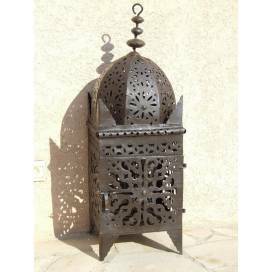 Superb Moroccan wrought iron lantern.Worked and engraved by craftsmen of Marrakech.It will bring the cordial environment of Morocco to you. 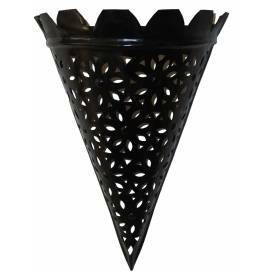 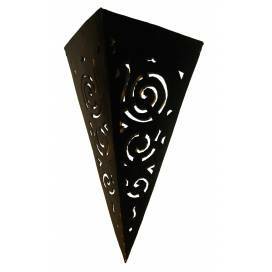 Large Moroccan wrought iron lantern.Worked and engraved by craftsmen of Marrakech.It will bring the cordial environment of Morocco to you.